When you’re a startup trying to bridge the gap between designers, makers and consumers through E-Commerce, it is as important to have an offline presence as online. 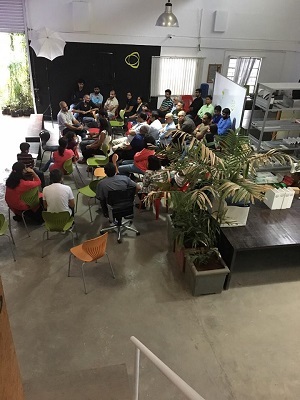 With this in mind, the Direct Create Designer Meet Up was recently held in Futuring Design, Pune, to introduce the designer and architect community to Direct Create and emphasise the importance of makers in producing good quality products in today’s increasingly industrialized world. The meet up was attended by Chandrashekhar Wyawahare, Amit Oswal, Manish Kute, Rahul Rathod, Santosh Ramane, Ketan Avhad, Shailendra Rampure, Jija Jadhav, Kunal Naik, Ganesh Kamble, Dadi Pudumjee, Surat Jadhav, Sarang Joshi, Anand Krishnamurthy, Roshni Mave, Vishwesh Sant, Ruchika Nowlakha, and Srikant Anpat, among others. 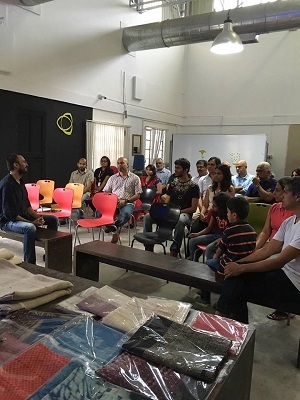 Over the course of the meet up, the need to encourage meaningful collaborations between traditional makers and designers was discussed extensively, bringing to the fore the need for handcrafted products in everyday life over mass produced goods. At the event, the participants also discussed the challenges designers face in making handicraft products. Designers opened up and shared problems they have faced in the field, like the lack of knowledge about handmade products in a market where designers are used to readymade vendor products instead of working with artists directly. Or not knowing the level of skills that a particular artisan has in order to get the best possible collaboration going. Or even something as basic as language being a barrier because the makers often speak in local languages that the designer doesn’t know, which becomes a deterrent to the collaboration. Surat Jadhav, an architect from Kolhapur and chairman for the ESEEED, the only architects trust in India, provided a lot of insight on bringing scale to handmade creatice processes. He suggested that skill sets can be passed on through institutes in the form of say, online classrooms and videos, which incorporates technology and the traditional method. These could be shared with teachers, craftsmen, students or anyone interested. “Another idea that can work is to have a mobile van going around the country which educates and passes on the skills while collecting data and new ideas from the craftsmen along the way. Since Direct Create will have an app, registration can happen on it. One more idea is to have zonal gatherings and engaging with each other in person to dismiss any notions about the makers and have smooth, continuing collaborations thereafter,” he shared. 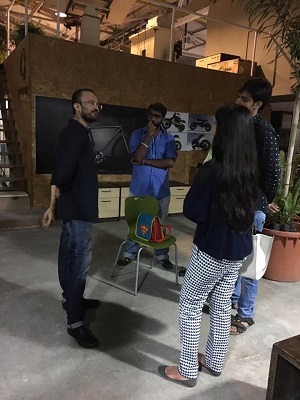 Vishwesh Sant, a Delhi-based graphic designer who runs ThirdEye Designs Studio, attended the workshop and found it be a great platform for designers and craftsmen to meet as well as for potential financiers and buyers who want to put in money into the handicrafts sector. 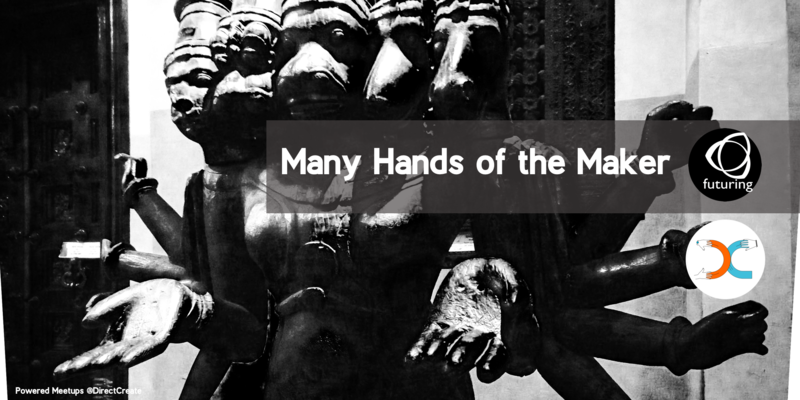 “The database of makers and designers is a massive resource. For example, if I wish to transfer one of my designs onto tableware, I really wouldn’t know where to start. I might try and find ceramic designers within a known circuit, but with Direct Create, I can immediately locate somebody, find the best artist suited to collaborate with, and possibly even find a financier to help finance the project. Even if someone wants to create something and has no experience in the arts and crafts world, they can get in very easily,” explained Vishwesh. We plan to keep having Direct Create Designer Meet Ups across the country, providing a much-needed platform for designers, architects, makers, and creative souls to come together and share insight about the power of collaboration to fuel creativity and create a whole new future for our arts and crafts.